Ever wondered what it would be like to have your favourite SUPER DJ drop a set at your house party? One such DJ has provided us with the virtual equivalent. KRAFTY KUTS is the multi-award winning DJ/producer and the undisputed King of BREAKS. 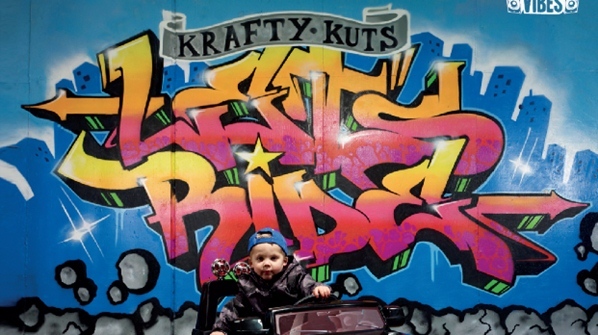 Acclaimed in the UK, adored in Australia, admired in North America, Krafty is a living legend. His multi-genre sets, dexterity on the decks and dedication to dancefloor hedonism have earned him hierarchy status in every genre of electronic music. From humble beginnings, Krafty Kuts is now one of the big players on the world’s club scene. An enviable career which boasts accolades ranging from eight times Breakspoll Winner, Best International DJ and Best Single of the Year by DJ Mag, and DJing alongside The Prodigy, Fatboy Slim and even the Rolling Stones. 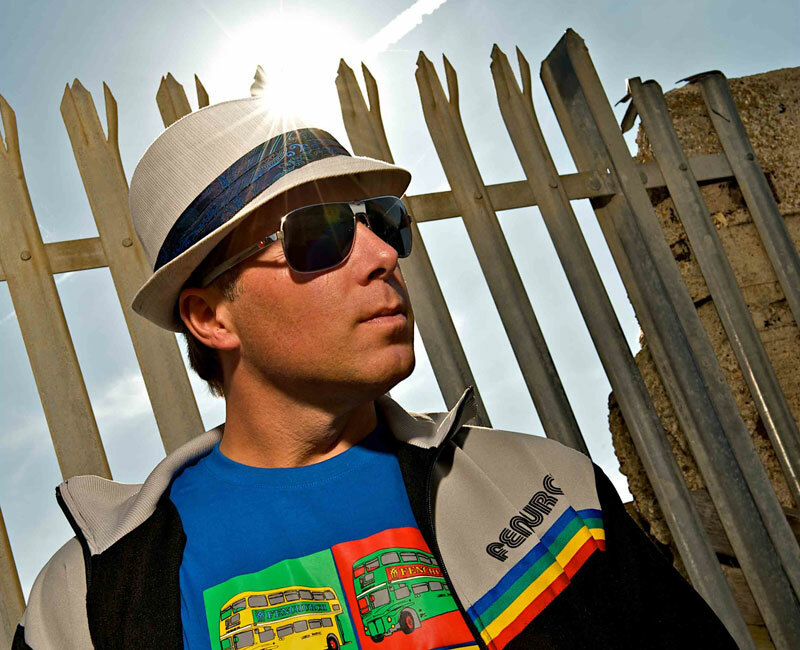 Brighton based Krafty Kuts developed his passion for DJ’ing in the late 1980’s after winning a DJ competition at aged 12. He then opened his own record shop, through which he identified a sound for his DJ style, a hip hop funk infusion of up-tempo beats. 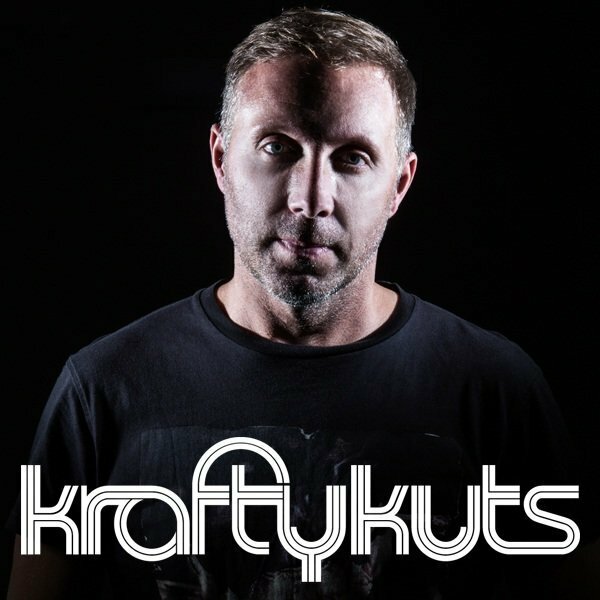 His dedication to pushing the boundaries of turntablism propelled Krafty Kuts to the forefront of electronic music and has kept him centre stage. Originally released on CD, by MIXMAG, back in 2001, this hour of eclectically funky vibes is so compellingly timeless that you’ll have no idea it’s dated. 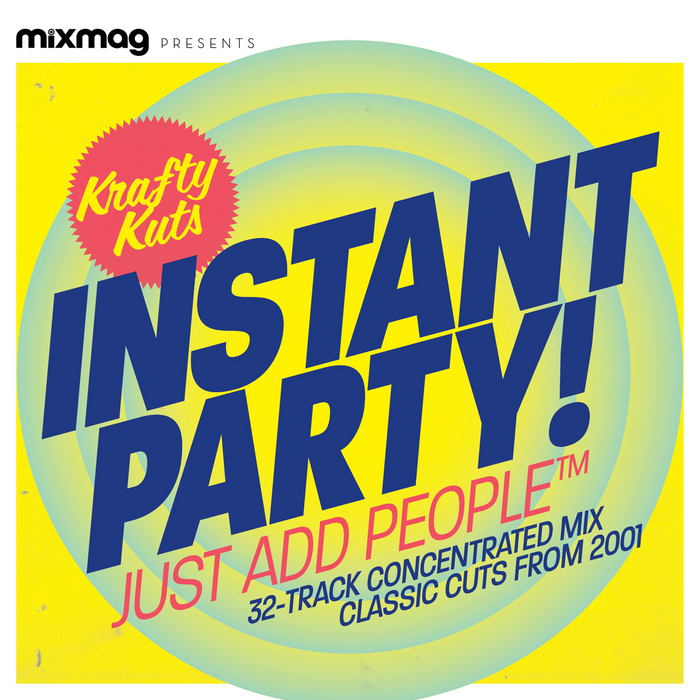 MixMag made a sound decision finally releasing it digitally in late 2013, with ALL INDIVIDUAL TRACKS available in full. So, after you’ve heard the mix, do pick out your favourites and add them to your “funky house party” play list. HIGH POINTS: I’ve really been into the idea of house parties lately. They tend to be void of all the douchey pretension, and trashy excess that you find in clubs. Musically they’re a nice change of pace from the constant, obligatory banging of raves and festivals. Get a few great DJs in the room, and you’re in for a real adventurous treat. I’ve had the pleasure to see Krafty Kuts rock a massive stage for thousands, and I’ve seen him drop a set for a crowd of a few hundred. He can fit in just fine at an EDM event, and just as easily at a Funk & Disco themed club night. He knows exactly how to switch up the vibe and tailor it to whatever situation he happens to be in. So the very idea of “what would KK drop at a house party?” is an intriguing one indeed. Here, we get the answer, an what a pleasurable answer it is. This is one of the shortest hours you’ll ever experience in audio form. A little slow off the get go, which I’ll explain further in the next section, but after the first few minutes, man does this mix ever smoke along. Expertly, KK lives up to his reputation. One minute, we’re entranced in a funky bassline, the next compelled by a passionate vocal, then delighted and surprised by an old favourite, all selected and mixed with the utmost integrity by a true master of the art of DJing. LOW POINTS: I come away from this mix feeling as though it sort of started at the end. I write that bashfully, fully realizing that Krafty Kuts might swiftly disagree with me, and his word would certainly hold more weight then mine. You see, I always preach that a good mix should start off with a blast of energy, and while the HIPSTER FUNK INTRO certainly does well to build anticipation, the next few tracks that follow are the most chilled of the lot. Now, perhaps my big room sensibilities are getting the better of me in this instance. Perhaps KK would explain that in a house party environment, easing into things is the way to do it. I might agree with him, if we were peaking in general terms, but in this instance, my rebuttal would be, “BUT YOU’RE F$%KING KRAFTY KUTS!!”. Regardless of the venue, the second this man hits the decks, I’m ready to rage! So does that not matter? I don’t know. Clearly I’m putting way too much thought into this. Perhaps we should just be speaking in general terms, if at all. So, in general, I would maintain that it’s most satisfying, after 45 or so mins of high energy mayhem, to chill things out and wind down, leading to an undeniable favourite, which in this case takes the form of JAH SCREECHIE’s WALK ‘N’ SKANK. Perfect dismount! Don’t get me wrong.